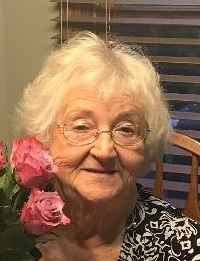 Obituary for Carol M. (Shupe) Herban | Zahoran Funeral Home, Inc.
SOUTH BEND - Carol M. Herban, 79, passed away at 9:50am Thursday, January 17, 2019 in Golden Living Center. Carol was born on May 7, 1939 in Lydick, IN to John and Martha (Carpenter) Shupe. They preceded her in death along with 2 sisters Mary Bradford and Janet Reitz and a brother Robert Shupe. She ran her own business (Creative Draperies by Carol) for over 35 years where she took great pride in the work that she did. She loved dancing, family and fur babies. Surviving are 2 daughters Dana Sue (Tony) Bacon of Apple Valley, MN and Sandy Lee Osborn of Mishawaka, 2 sons Randy Lee (Sharon) Herban of Osceola and Timothy Allen (Lynn) Herban of South Bend, 8 grandchildren Randy, Crystal, Steve, Marissa, Abby, Amanda, Devin and Ashley, and 9 great-grandchildren Zach, Lizzy, Molly, Aubree, Madelyn, Aarolyn, Jace, Courtney, and Carlos, and a sister-in-law Barb Shupe. Funeral services will be celebrated 11:00am Monday, January 21, 2019 in the Zahoran Funeral Home, 1826 Kemble Avenue. Burial will follow place in Highland Cemetery. Family and friends may visit from 2-5 Sunday in the funeral home. Memorial contributions may be made to the Center for Hospice Care or Alzheimer & Dementia Services of Northern Indiana. To leave an online condolence, please visit our website at www.zahoran.com.